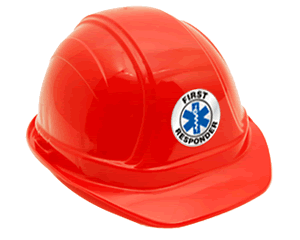 Hard Hat Decals or Stickers are an indispensable part of any safety program. Our “Emergency Services” helmet rocker decals help you quickly identify staff and equipment, with a big decal that makes an impact. Exactly what I ordered and very quick service! They were exactly as expected, and worked great.